My good friend and I have a Christmas tradition--several actually, but yesterday was the Holiday House tour. Participants make a donation to the town historical society and then are invited to visit historic homes decorated for the holidays. It's a lot of fun and something we try not to miss. When I bought the ticket, I didn't realize it conflicted with the Jets-Giants game. That was a painful choice. We went on the house tour and had a great time while the game was taped--DVR. Fitzmagic, as I like to call him, was magical in the end. I just finished watching the game. 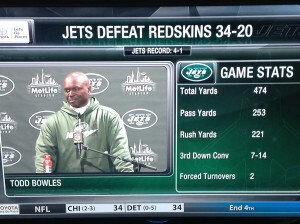 The Jets definitely had a slow start, but came roaring back in the fourth quarter to tie the game with the Giants who had a 10 point lead. The game went into overtime and the Jets were able to pull out a win. It was a stunning ending! Final score 23-20. 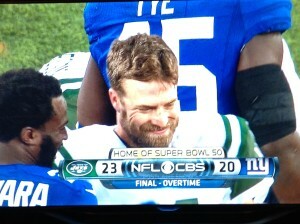 So we are very happy Jets fans! 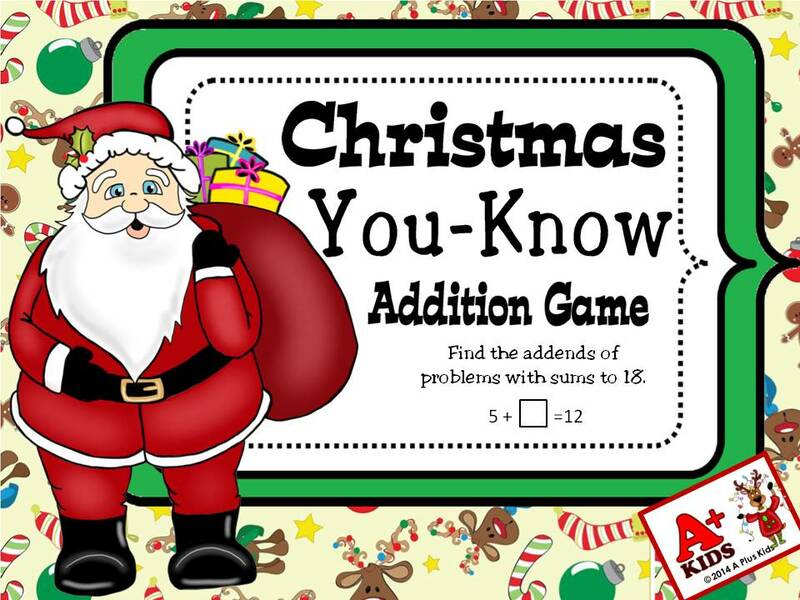 To celebrate the Jets win, I am offering my Christmas You-Know Addition Game to my followers. It will be posted in my store as a freebie for a limited time today. So hurry on over to grab yours. 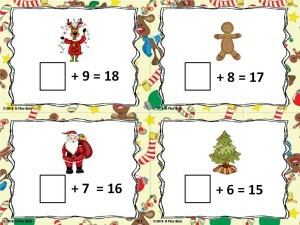 Don't forget to leave some merry feedback if you do download it so I can continue to celebrate Jets wins with freebies. They're on a roll now so hopefully there will be many more wins--and freebies to celebrate!! Enjoy the game! 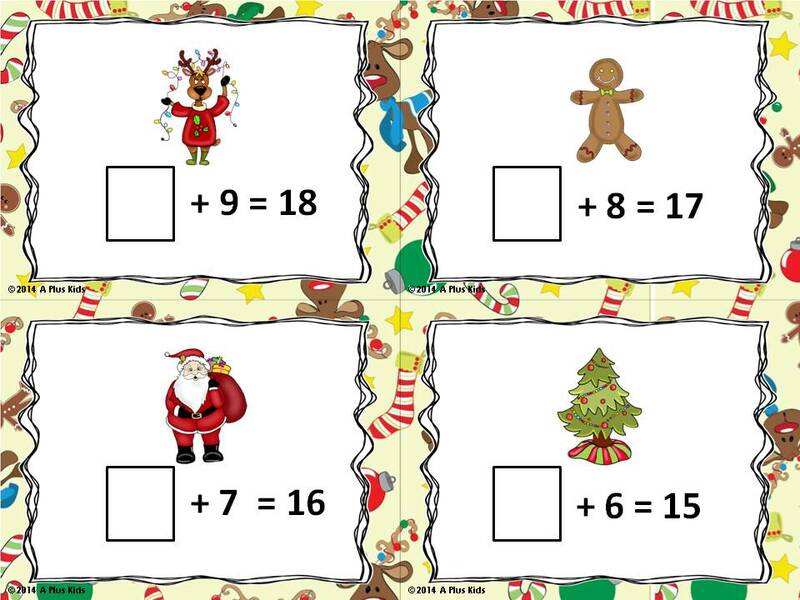 Posted in Giveaways and Freebies on December 7, 2015 by Kathleen. 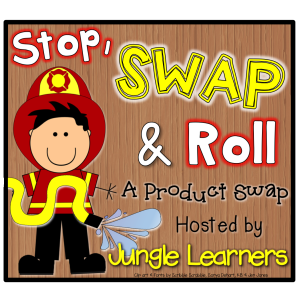 I am so excited to be collaborating with other teachers for this Stop, Swap and Roll adventure. 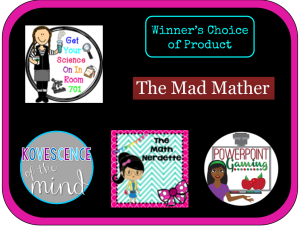 It is so much fun to share resources. There is always something new to learn. Before I begin to brag about the new resource I chose, I want to thank Melissa from Jungle Learners for organizing such a dynamic product swap. As you can imagine, it takes a lot of hard work to organize so many participants and their resources. 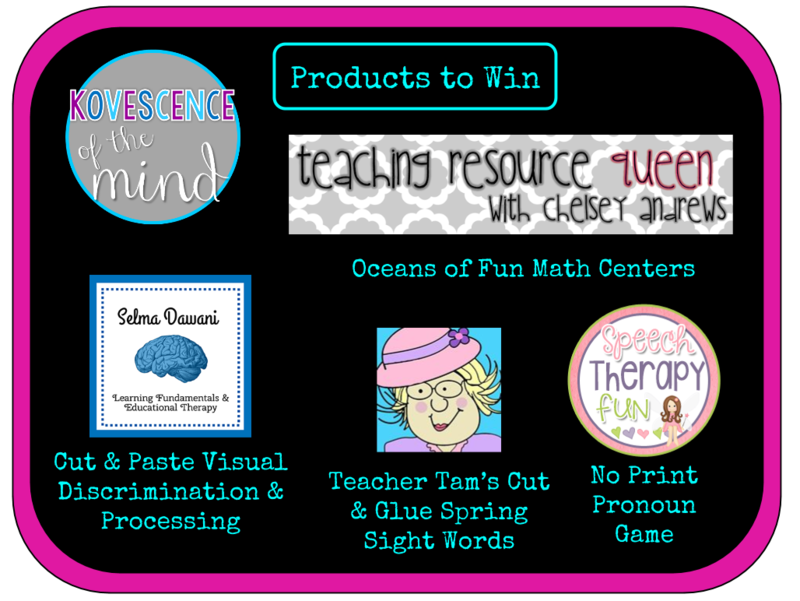 I hope you will start right here on my blog, and hop from blog to blog, to observe vivid illustrations of many resources in action, as well as to have opportunities to win some creative resources demonstrated on each blog. I was fortunate to collaborate with Mollie and Amy, from over at Two Nutty Teachers. Mollie and Amy are both teaching partners and business partners. They have been teaching fourth grade in West Michigan for the past three years and started their business, Two Nuts Teachin' from the Same Tree, in 2012. In addition to a deep love of creating teacher-friendly resources that challenge students to dig deep and think big, they also share a love of crafting. Their partnership is a perfect fit and they enjoy creating beautiful resources together. The rules of the swap allowed me to shop in their store to choose an interesting resource. It was a difficult choice! There are so many goodies in the shop. 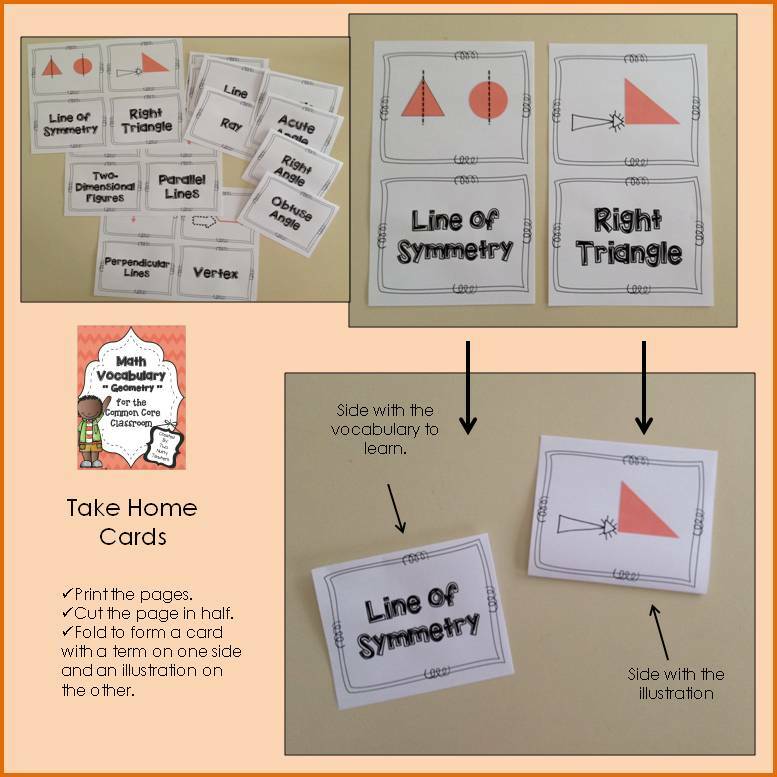 Because I am interested in additional ways to teach and reinforce geometry concepts, I knew I had what I wanted when I found Math Vocabulary: Geometry for the Common Core Classroom. What a great resource this is! There are 16 anchor charts with vocabulary terms and illustrations to define them. 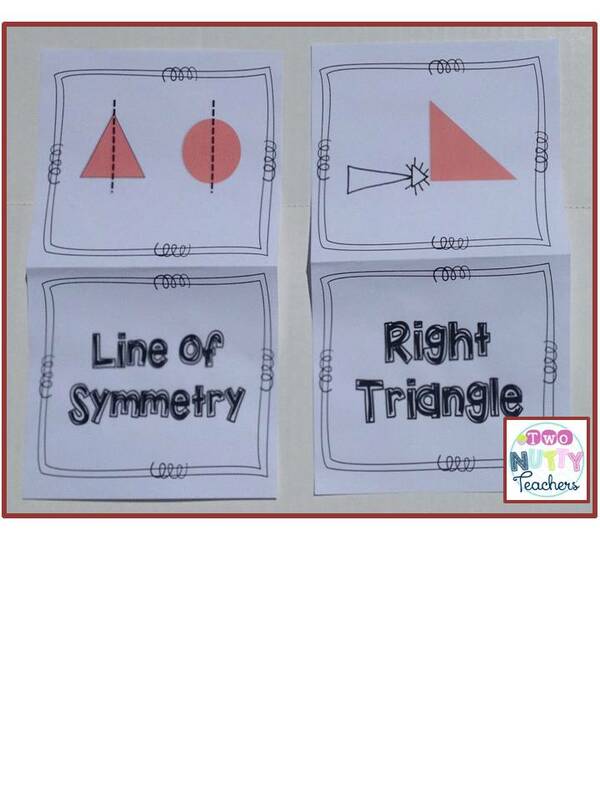 I love these anchor charts! The description of each term is clear and concise. 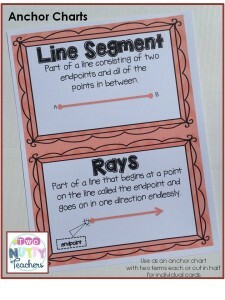 Use the charts as they print with two terms to a page or cut in half to have an anchor chart for each term. 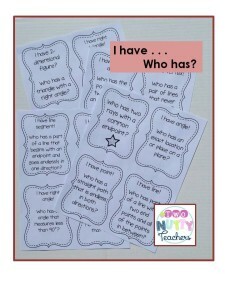 They can also be stapled together to form a handy booklet for students. The anchor charts provide a great reference for students to use independently when they need support. They are definitely kid-friendly. 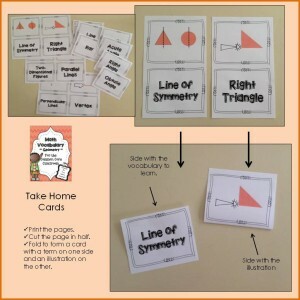 The take home cards act as flash cards. 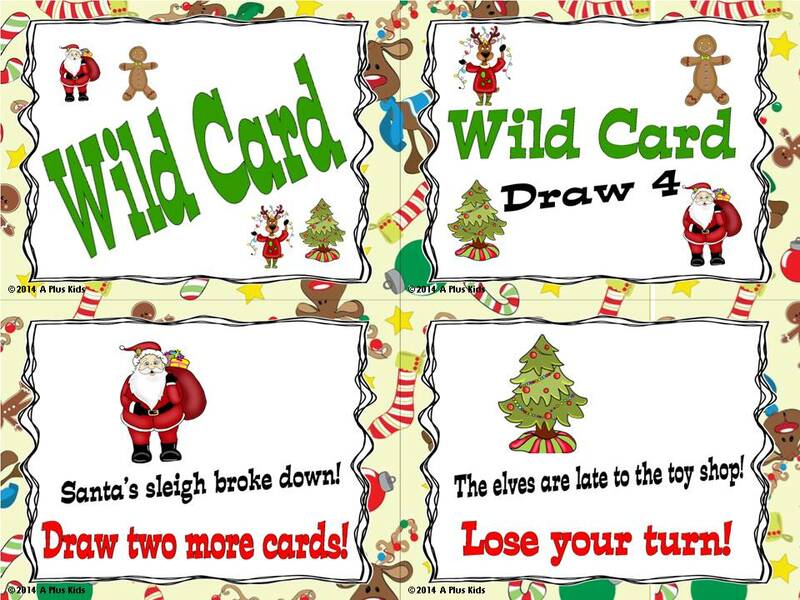 Preparation to use these cards is so simple your students can do it independently. Just print, cut the page in half, and then fold in half. (See the pictures above.) Now you have a set of cards. I really like that there is no pasting, just folding, and they function perfectly. 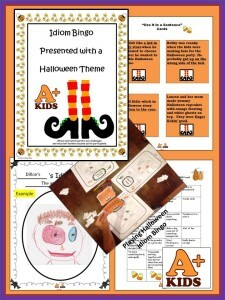 Vocabulary words are printed on one side and a pictorial explanation is printed on the reverse side. 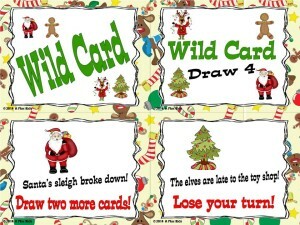 These cards could be used in a number of ways: 1) students look at the pictures and determine the vocabulary word, 2) students look at the vocabulary word and draw the correct symbol to demonstrate an understanding of the term, 3) Students would enjoy working as partners to practice the use of these terms. I have . . . Who has? The 16 card "I have . . . Who has?" game is a great culminating activity. 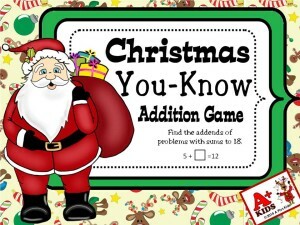 The student who gets the card with the star on it begins the game. 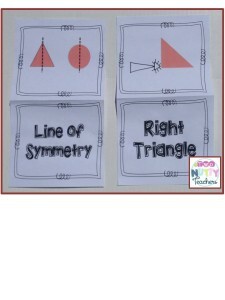 Two Nutty Teachers has prepared a comprehensive review of the geometry vocabulary words for the kids who are sure to enjoy playing. 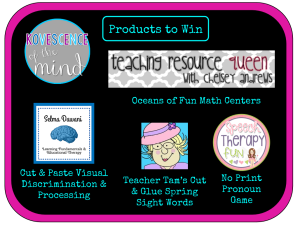 Hop over to the Two Nutty Teachers to peruse their store stocked with all of their great resources. I hope you enjoy shopping there as much a I did. 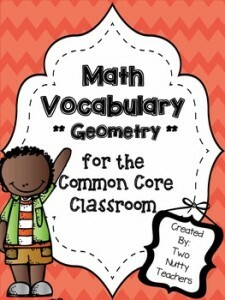 They are sharing a copy of Math Vocabulary: Geometry for the Common Core Classroom with one lucky winner. Be sure to enter below for your chance to win. 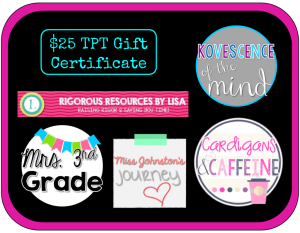 Continue the blog hop to read the fun posts of all the participants and to participate in the giveaways. Every blog has a special giveaway! Wishing you good luck! 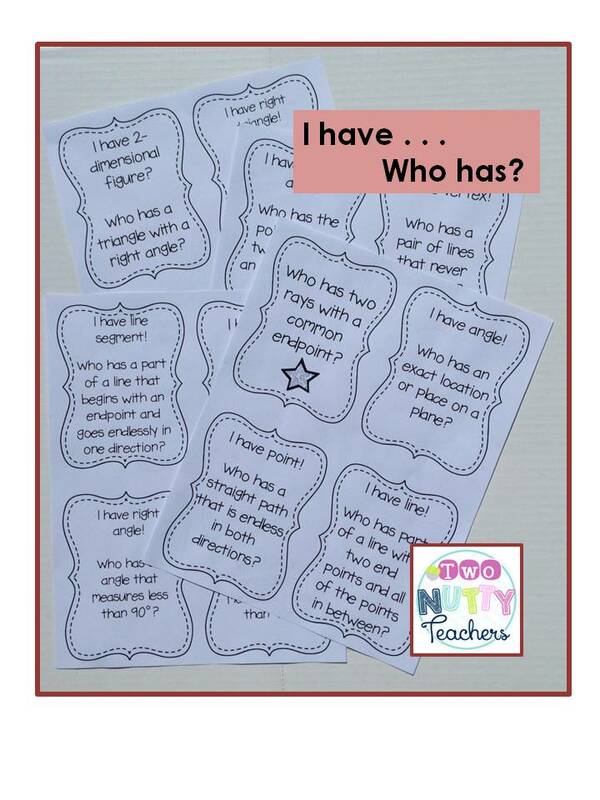 Just as I have demonstrated the math vocabulary game from Two Nutty Teachers, Quinnessential Lessons is demonstrating Homophones and Trivia from my store on her blog. 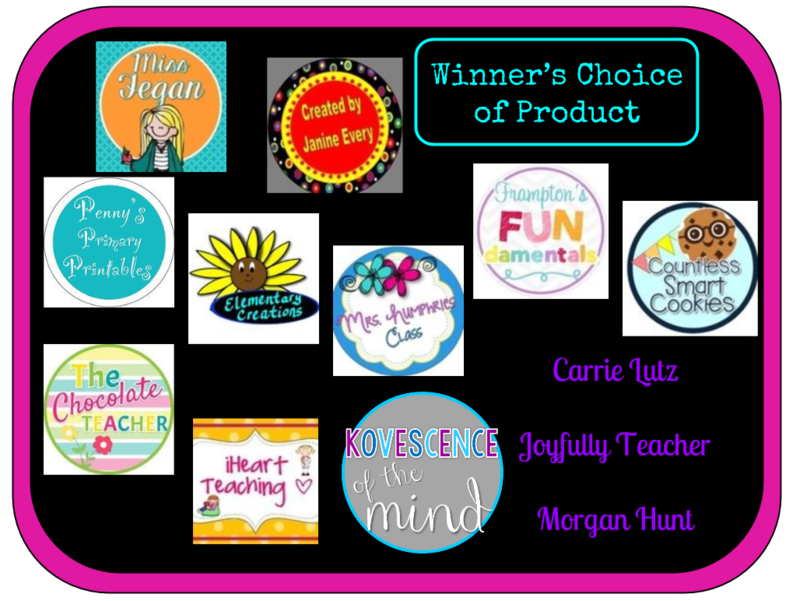 To add to the celebration I will have it on sale for only $2.00 for the duration of the product swap. 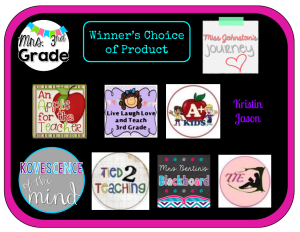 In fact all of A+ Kids will be on sale for the duration of the product swap. 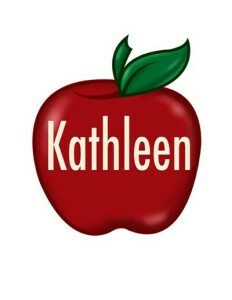 Posted in Giveaways and Freebies on April 25, 2015 by Kathleen. 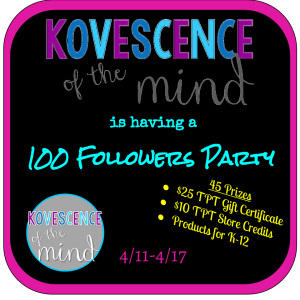 Join Us to Celebrate Kovescence of the Mind’s Milestone! It’s a big GIVEAWAY!! 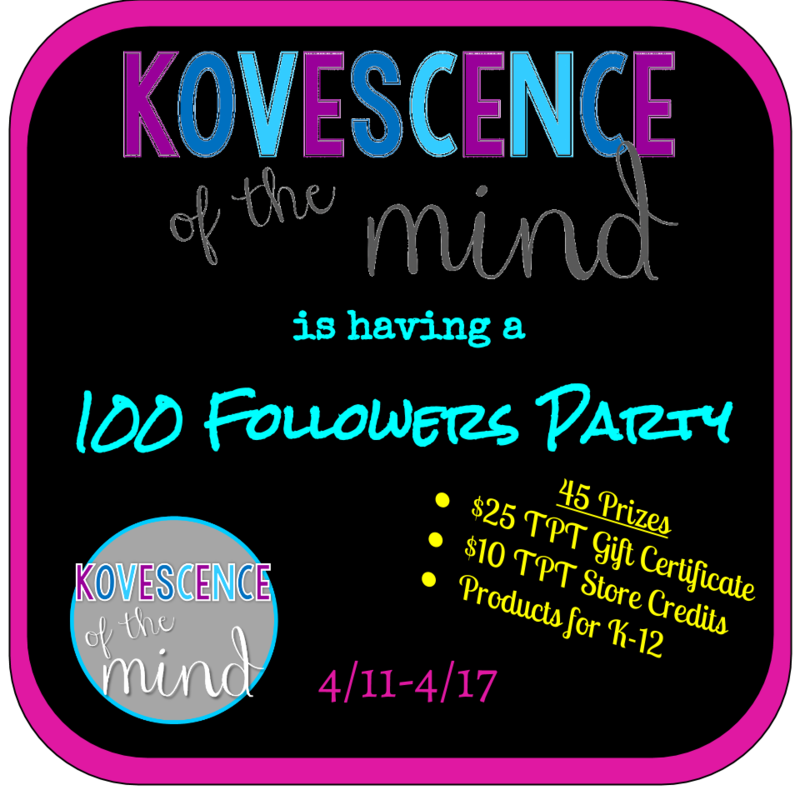 Sarah from Kovescence of the Mind has reached a milestone and is having a big celebration. I am happy to help. 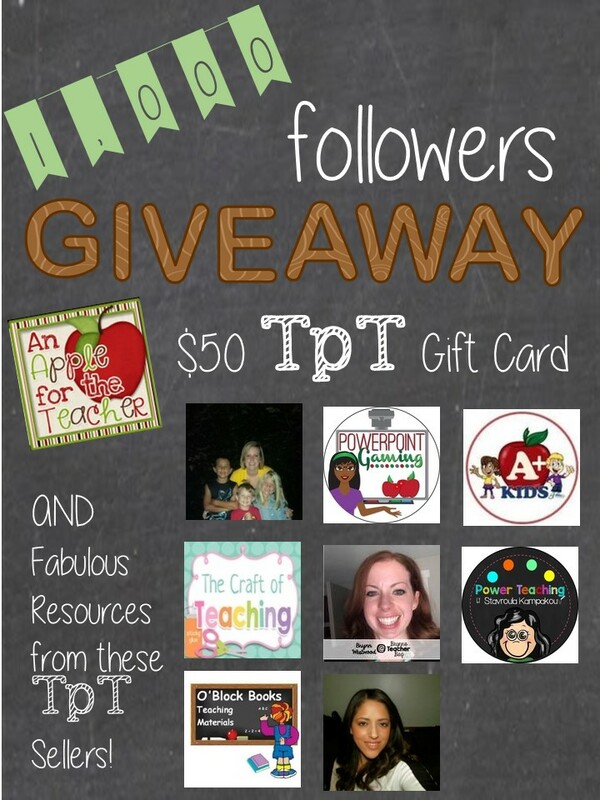 Sarah has organized an amazing giveaway with lots of great resources to giveaway. Visit Sarah's blog to get in on the action. Here are some of the packages Sarah has put together. 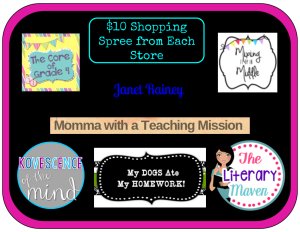 Posted in Giveaways and Freebies on April 12, 2015 by Kathleen. 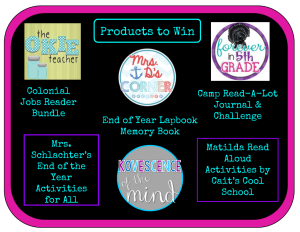 A product swap is a fun way to collaborate with other bloggers to share ideas and resources. Right now is the perfect time to signup for a new product swap and giveaway hosted by Jungle Learners. Hurry on over to Jungle Learners to read all about how to sign up so you can participate too. Hurry because the swap is set to begin April 25, 2015 and we're all busy getting ready. Posted in Giveaways and Freebies on April 3, 2015 by Kathleen.